This is one of the most popular and diverse OHV parks in the state. Trails are provided for all vehicle types including stock SUVs, serious modified rigs, ATVs, UTVs and dirt bikes. Entry fees are reasonable. Everyone must check in at the ranger station where you receive a detailed map of each of the OHV areas. We visited the Upper Ranch where the popular Top Truck Challenge is hosted every year. One of the hardest trails in the competition is the Tank Trap, on which only about half the vehicles are able to finish. Dry camp spots for motorhomes and RVs available at various points inside the park. The park is open from sunrise to sunset, 365 days a year. 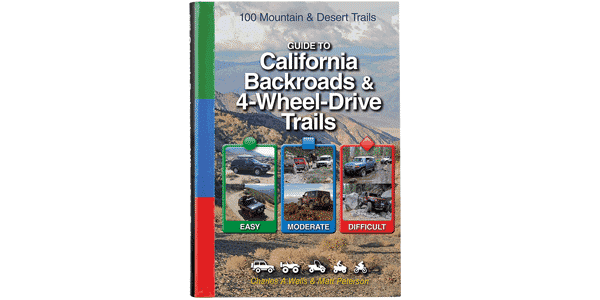 Before you go, visit the California State Parks website at ohv.parks.ca.gov and select Hollister Hills SVRA. There you’ll find complete details and downloadable PDF maps. Easy drive to obstacle course. Fremonita Road is narrow and steep with loose rock. McCray Road is moderate but quite steep and narrow. The Tank Trap is an axle twister in a narrow, high-banked ravine.